Nashville TN Police Chief Exposes Cadets To Radical Mosque..Again. Oath of Honor- Tennessee Association of Police Chiefs. Another issue with the property itself is who is listed on the deed as having the same address. The Islamic Society of North America (ISNA), is one of the largest Muslim Brotherhood organizations within the United States. 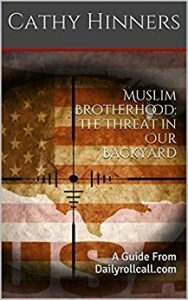 If you consider the Muslim Brotherhood a “moderate” political party, as Obama led so many to believe, then you have no issue with this, and good luck as the Muslim Brotherhood is one of the most violent, barbaric groups in the Middle East. “Were trying to give you information so you can leave here today with yet another little piece of your brain that has some new little storage compartment that has been filled with Islam stuff.” There is no historical value in that statement. In the same photo, 4th from the left, is Zulfat Suara. Ms. Suara has been involved with law enforcement on several levels, including the FBI’s citizen academy. Unfortunately, Ms. Suara is also a supporter of the Indivisble movement, as seen in a picture with Renata Soto ( Director of La Raza). Indivisible is an organization created to resist President Trump and his administration. Other members of AMAC, also active with the ICN is Drost Kokoye, a refugee from Kurdistan, who is an activist at the University of Tennessee, Knoxville (UTK) Ms. Kokoye not only hates being an American, but despises police. The same police that Chief Anderson exposes to at the mosque on a regular basis. ← Previous Previous post: The Truth About Islamophobia. Next → Next post: Islamists Use Antifa and the Southern Poverty Law Center To Silence Americans.